Do I need to have a Facebook, Twitter or Instagram account to participate? Where can I buy the limited edition lip balms? If I create several “Selfless Selfies”, will each one count towards the goal? Does every Burt’s Bees lip balm variety trigger a donation of 5,000 wildflowers? Why don’t you just donate money to help the bees instead of doing this campaign? Can I track progress towards the goal? Where are the flowers being planted? Who is Burt's Bees partnering with to plant the seeds? What were the results from last year’s program? How do I get involved on social media this year? How do the wildflowers help the bees? Are the wildflowers you’re planting organic? Are they genetically modified? What is happening with the bees? What is causing the bee populations to decline? How is your beeswax sourced? What happens if you don't reach your goal of 2 billion wildflowers pledged by the end of the campaign? Burt's Bees wants to spread awareness and take action to help the bees, which are disappearing at alarming rates. For every “Selfless Selfie” created at selflessselfie.burtsbees.com and every purchase of a #BringBackTheBees lip balm, The Burt’s Bees Foundation will plant 5,000 wildflower seeds. In fact, with your help, our goal is to plant two billion wildflower seeds! The “Selfless Selfie” program begins on on March 27, 2017 and ends on May 7, 2017 or when the goal has been reached, whichever comes first. To participate, create a “Selfless Selfie” at selflessselfie.burtsbees.com or purchase a #BringBackTheBees lip balm in store or on burtsbees.com. Heck – you can even do both! For each purchase or “Selfless Selfie” created, we’ll pledge to plant 5,000 wildflower seeds. No, we’ll pledge to plant 5,000 wildflower seeds for each “Selfless Selfie” created on selflessselfie.burtsbees.com, whether you share it on Facebook, Twitter, Instagram or not! We’d love it if you did choose to share so you can help us raise awareness of the disappearing honeybee and encourage friends to join the cause, but that’s up to you! You can also purchase one or more #BringBackTheBees lip balms in store or on burtsbees.com to trigger the wildflower donation. The limited edition campaign lip balms are available at select natural, grocery, drug and mass retailers, and via burtsbees.com in four flavors: Strawberry, Pink Grapefruit, Wild Cherry and Coconut & Pear. You can also pick up a 4-Pack with all of the #BringBackTheBees flavors! If there is a specific retailer you are interested, please contact us to confirm. Yes, each and every “Selfless Selfie” created on selflessselfie.burtsbees.com counts towards our goal of one billion wildflowers. Only the four #BringBackTheBees limited edition lip balms (available in Strawberry, Wild Cherry, Coconut and Pear, and Pink Grapefruit) and the #BringBackTheBees 4-Pack count towards the goal. We do! In fact, since 2007, the Burt’s Bees Foundation has issued over $2 million in grants, spanning pollinator research, education, conservation and habitat. The #BringBackTheBees campaign is about more than just donating for the cause, however; it’s about getting people like you involved to help make a difference, as well as spread awareness so more people understand the challenges the bees face, and how they might help. Yes, please visit bringbackthebees.burtsbees.com to track our progress. These wildflower seeds will be planted next to farms, primarily small and mid-sized farms in our home state of North Carolina. Once planted, the seeds will offer bees a nutritious and much-needed feast. To learn more about our work to support our buzzing friends, visit www.burtsbees.com/wildforbees. The Burt’s Bees Foundation is partnering with Rural Advancement Foundation International (RAFI) to help engage local farmers and plant the seeds donated through the campaign. RAFI will also be engaging the USDA Natural Resources Conservation Service (NRCS) and Farm Service Agency (FSA) to extend the reach and impact of existing pollinator programs these public agencies support. Based in Pittsboro, North Carolina, RAFI cultivates markets, policies and communities that support thriving, socially just, and environmentally sound family farms. To learn more about the work RAFI does, visit www.rafiusa.org. Last year’s campaign was a huge success, thanks in great part to your involvement. We were able to plant well over one billion wildflowers establishing 1,250 acres of bee-nourishing forage on 17 farms in North Carolina. We’ve heard from our sustainable partners that their land is buzzing with bees! Still, as a supporter of this cause since 2007, we are strong believers that long term commitments are vital to sustainable impact. With population declines of 44% in 2015-2016, the bees continue to need our help. Together with partner organizations like Rural Advancement Foundation International (RAFI), we are excited to build on last year’s success by doubling our goal to two billion wildflowers this year and adding to both the acreage of pollinator habitat and the number of pollinator-friendly farms in North Carolina. 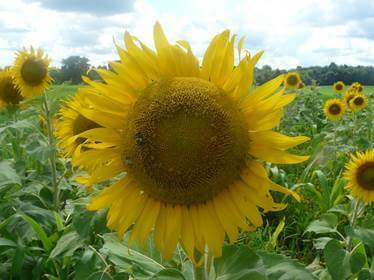 Sunflowers planted at Hickory Meadows Organics using seeds from the 2016 #BringBackTheBees program. We wanted to make participation easy by incorporating it into something many people already do each day, but with a bit of a twist. In partnership with Google, we developed a new floral filter technology and are inviting you to create and share a “Selfless Selfie”. Each selfie taken will help plant 5,000 wildflowers. Honeybees and other pollinators sometimes struggle because they don’t get the variety of nutrients they need. Just like we need a reliable source of food, and a variety of it with different nutrients, bees need a variety of pollen-rich plants to be their strongest. All of the wildflower seeds we source will be untreated seeds which are not genetically modified. “Untreated” means that pesticides, fungicides or other seed treatments won’t be applied to the seeds. We’ll also ensure the seeds we select are known to thrive in the region in which they’ll be planted, our home state of North Carolina; wildflower seeds that are native, wild or adapted to the ecological region in which they’re planted will have the best chance of flourishing, and ultimately the best chance of providing the most pollen possible to the bees, year after year. In addition to these criteria, we intend to source as many organic seeds as possible within the total (determined once the campaign ends), depending on availability of certified organic seeds adapted to our region, and the total number we are sourcing at that time. Bee populations have been declining since as early as 2006 for a variety of reasons, one of which is changes in land use. USDA reports indicate that US beekeepers lost 44.1 percent of their honeybee colonies between 2015 and 2016. Bees rely on land and flora for a variety of nutrients to survive and prevent disease, just like humans. And, with climate changes and altered land use – such as monocrop agriculture, urbanization, and ornamental landscaping and lawns – there are simply fewer resources for bees. When bees lack the sustenance needed to best support their immune system, they can become more vulnerable to pests and pathogens. By planting wildflowers, we can help restore the natural habitat that bees need to be healthy. Our beeswax is wild-crafted in Eastern Africa, where the bees forage throughout managed wildlife preserves as opposed to commercial farms. Beekeepers in this region are not experiencing the same hive stressors to the extent found in North America and Europe – such as Varroa Mites and Colony Collapse Disorder. Therefore, there isn’t as great a need to apply specific hive treatments to prevent illness. Rather, the collectors in these remote areas of Eastern Africa utilize a more natural and sustainable process that has been passed down through families for generations. Permits are obtained through the local authorities that manage protected land areas to allow responsible beekeeping on the land. These remote beekeepers gather fallen trees from the forest, split the logs lengthwise and hollow them out by hand. After the logs are hollowed out, sweet grass from the forest floor is collected and this fragrant plant material is used to line the inside of the logs, which naturally attracts bees and provides a foundation for the honeycomb. The logs are raised into the treetops and hung vertically where they remain for two to three months while the bees produce honey and beeswax in this ideal environment. The collectors return once the logs are filled, and each log yields about 10 pounds of beeswax per log. The colony naturally leaves to find another log when one is filled. 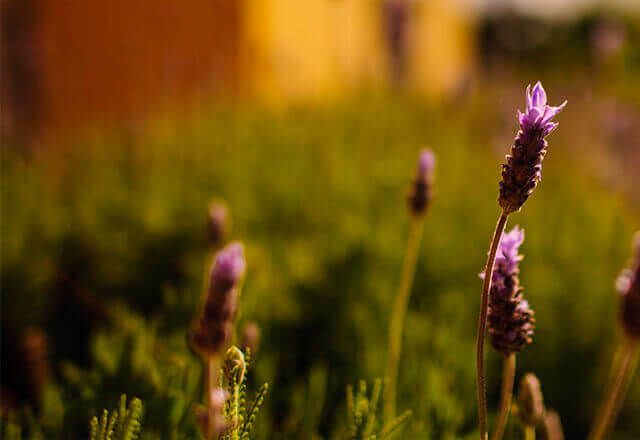 Burt’s Bees co-founder and namesake–Burt Shavitz–was a beekeeper and our first products were crafted from the bounty of his hives in Maine, USA. While our current source for beeswax is in Africa, we are committed to caring for bee populations worldwide, their impact on biodiversity, agricultural diversity, and their importance as an indicator of the health of our environment. Much of the honeybee research we’ve funded is directed toward preventative health, such as research or establishing habitat. You can learn more about Burt’s Bees initiatives in honor of bees at www.burtsbees.com/wildforbees. If we don’t reach our collective goal, we will still donate 5,000 wildflower seeds for each “Selfless Selfie” created or #BringBackTheBees lip balm purchased during the campaign. While we may not donate two billion wildflowers specifically through this program, our work to help the humble honeybee won’t end here. To learn more about our continued work to help these miraculous creatures since 2007, visit www.burtsbees.com/wildforbees. • Like we’re doing through this campaign, you can help by planting habitat for the bees; put in wildflowers and other pollen-filled, native flowering plants wherever you can; from window boxes to larger spaces, any site can offer helpful habitat! • You can also help through buying local produce, including honey, to support your areas’ beekeepers. We appreciate your excitement for helping the bees, and hope you will share your passion to inspire get others involved, as well!